New Jasper-based Xbox 360s solve the RRoD problem. We hope (and pray). Microsoft's new Jasper-based versions of its Xbox 360 have finally arrived, with the hope that the 65-nanometer version of the console's graphics chip will not suffer the overheating 'Red Ring of Death' problems that have dogged past versions of the 360. 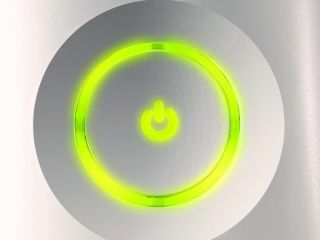 Respected US tech journalist Dean Takahashi has chronicled the 360's Red Ring of Death problems in depth and claims that Jasper-based Xbox 360s,"logically… should be a lot better." This is because the"graphics chip will likely consume less power than previous versions, allowing it to fit snugly into its motherboard socket. That should lead to fewer system failures due to the graphics chips coming loose." The new 360 graphics chip is also notably cheaper, which has allowed Microsoft to slash the costs of the console to the consumer right back for Christmas 2008. Newer models also have a 150-watt power supply, while earlier versions used 175 watts. Takahashi has some new information on what caused the 360's RRoD. He claims that:"The main failure cause was "thermal fatigue" of the leaded C4 connections between the graphics chip die and its organic carrier. "The underfill had too low a glass-transition temperature for the amount of heat generated. That caused cracking over time, resulting in graphics chips coming loose."